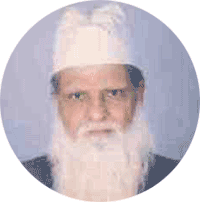 Syed Waheed Ashraf is a famous Poet who writes in Urdu and Persian. He has four sons and three daughters. We are sorry, we could not add any poetry by Syed Waheed Ashraf. We are working hard to build the biggest poetry collection on the internet, so keep checking back and you might get some poetry by Syed Waheed Ashraf. If you are looking to search for poetry, please use the search form below.